The Spine Care Center of Prime Hospital, a leading healthcare service provider in the UAE, has successfully performed a delicate spinal operation using minimally invasive surgical technologies on an Argentinian lady suffering from low back pain. A team of specialists headed by Dr Thaer Darwich, consultant-neurosurgeon and spine care, conducted the risky surgical procedure. 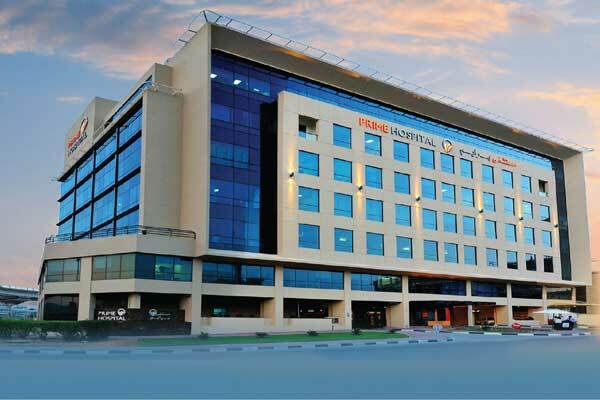 Prime Hospital’s recently opened Spine Care Center was established to provide spinal care solutions, starting from diagnosis and pain management to advanced surgical techniques and physiotherapy. “The surgery performed using minimally invasive surgical technologies has reduced the patient's exposure to scars and pain. Our team used small endoscopes to meet our goals,” he added. “Compared to other surgical procedures, the operation involved small surgical intervention with minimal pain. We are confident that the centre will set a new trend in the field of caring and fixing the spine thanks to its advanced technologies and upgraded surgical techniques that conform to the highest quality standards,” he said. “Five days from the surgery, the patient felt only minor pain and she was able to take the 20-hour flight back to her home country. We will continue to provide the best treatment services and health care solutions that effectively address the needs of our patients and ensure them a healthy and happy life,” he added. The Spine Care Center at Prime Hospital has conducted many successful operations for herniated disks and vertebrae in the neck and the back using the latest surgical techniques, which result in wounds less than one centimetre. Patients can move and get rid of the pain from day one of the surgery, it said.